Yesterday we investigated an issue reported by players where raid bosses on Progression Servers were taking less damage from direct damage and damage over time spells. We have uncovered that this issue was the result of two bugs, one of which has been fixed and one that we are looking to fix in our next patch. The first bug, which has been fixed, is that spell damage was not being reported accurately. For example, a 300 damage Banestrike was never actually hitting Lord Inquisitor Seru for 210. The damage being reported as 210 was incorrect. It turns out that the real value is 147, and this is what you are now seeing. However, the second bug is that spell guard effects are currently twice as effective as they are supposed to be. Spell parsers will show that Mitigation of the Mighty III has a 30% spell damage reduction, so the real damage output should be 210. However, the spell damage reduction is being called twice, so the NPC has only been taking 147 damage (and was inaccurately showing players that 210 damage was being dealt). Damage is now being displayed accurately, but we will be addressing the outstanding bug and adjusting damage values so that there will be no change in kill times or effectiveness in the next update. *** Quests & Events *** - Defending Knowledge - Fixed a problem that prevented the horn from appearing near Bjerg Sen the Tranquil. *** Miscellaneous *** - Addressed an issue that would cause some machines to not be able to login. Late last night, a handful of server hamsters decided to take off before their shifts were up, and we saw several server crashes and character rollbacks. In order to combat this rough patch, from now until tomorrow, April 3rd at around 10:30 AM PT, players will be able to earn 50% more experience! Thank you for your patience, and we'll see you back in Norrath! *** Quests And Events *** - Gnome Memorial Mountain - Removed chance that some items could spawn where characters could not go at the lowest level of the zone. - Gnome Mountain Raids - Fixed some errors that were preventing travel between the raids. - Gnome Mountain Raids - NPCs will no longer drop loot that they were not intended to drop. They will also not remain to hold loot between events that they should not. *** Miscellaneous *** - Fixed an issue that caused the Tsaph Katta Leather Ornaments set to glow neon blue. Always chat here, if you set it to a "window" it will bring you back to that tab, i'd like to beable to /gu /g /rs /1 without it always switching the window back to that tab. So far work around is setting up another chat window shrinking it all the way down which isn't that far down and setting it to always chat here. Maybe option to remove the banner from a chat window would help." This is intentional. My recommendation would be a single tabbed window for always chat here. If we did not swap the tabs, you would be unable to see what you were typing. Post discussions in the discussions threads. Friendly reminder - this thread is not for discussions about anything other than bugs and how we can reproduce (and therefore fix) them. In the Guild Recruitment forum, threads should be used for communicating about the guild (by members) and for learning about guilds (from interested applicants). Recruitment threads do not exist for others to offer opinions on guilds/members or for rivalries. *** Quests And Events *** - Trials of Smoke - Fixed an issue that prevented looting of the sigils in the Trial of the Speaker's Amphitheater. - Spear of Fate - Corrected an issue where Ooglyn would sometimes fail to initiate the Test of Patience. Chat services may be unavailable tomorrow morning (Tuesday, February 26, 2019) from 7:00 AM PT until up to 9:00 AM PT as we perform a brief maintenance. All other game functions should remain online. Thank you! Test is being updated this afternoon with our current Live build. There are no new patch notes at this time. Everything should match Live. 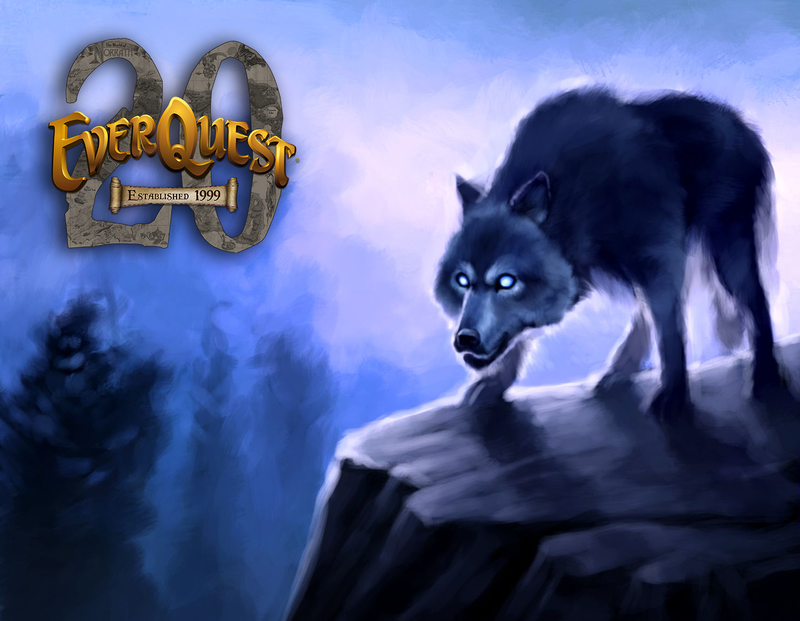 Greetings Norrathians, From the first announcement of our 20th Anniversary plans, we said that this year was about the EverQuest community, a celebration we'd all be excited to be a part of. When we announced the upcoming Progression Servers, it made quite a splash, and players let us know that we hadn't quite hit the mark. We heard your feedback, reviewed all of the different concerns and suggestions, and spent the past week revisiting in detail the experiences that we wanted to craft on these new servers. With that in mind, we have made some changes to the rulesets for the upcoming Selo and Mangler Progression Servers. Selo Fast Progression Server Selo is going to be a Fast Progression Server. This server is for anyone who wants to experience all of EverQuest's 20 years of content and fly through the expansions. Whether you want to relive the whole history in a short time, experience what you missed the first time around, or race your fellow adventurers through the eras, this is the server for you. On this server, experience will be gained at nearly double the rate of Ragefire or Lockjaw. Instances can be reused more often, rares will be more likely to spawn, and faction can be earned more quickly. The server will open with EverQuest Classic, Ruins of Kunark, Scars of Velious, and Shadows of Luclin unlocked. This means the server opens with Iksar, Vah Shir, Beastlords, and of course four massive eras of content and raids to pursue. New expansions will release on the first Wednesday of each month, starting with The Planes of Power on May 1, 2019. Selo is a Truebox server and, once the server catches up to the present era, will become a standard Live server. For more detailed information on Selo, you can read the updated server FAQ here. Mangler Standard Progression Server Mangler is going to be a Standard Progression Server. This server is for anyone who wants to start off with that 1999 experience and progress through the years and expansions at a leisurely pace. Like without bard speed. On this server, experience will match the standard rates on Ragefire and Lockjaw. Instances, rares, and faction will all be standard. The previously mentioned (new) experience and death penalties will not exist, but Focus Effects will remain unavailable until the Shadows of Luclin unlocks. Mangler will open with only classic EverQuest unlocked. New expansions will unlock every 12 weeks. After Gates of Discord unlocks, expansions that do not include a level cap increase will remain current for only 8 weeks before the next unlock. Expansions that do have a level cap increase will be current for 12 weeks. Mangler is a Truebox server and, once the server catches up to the present era, will become a standard Live server. For additional information on Mangler, you can read the updated server FAQ here. Whatever piece of EverQuest you are looking forward to reliving, we hope these revised ruleset options will provide a new old place for you to call home. We look forward to seeing you in Norrath when the servers launch on March 16, 2019! This downtime has been extended. Will update with an ETA as soon as we have one. 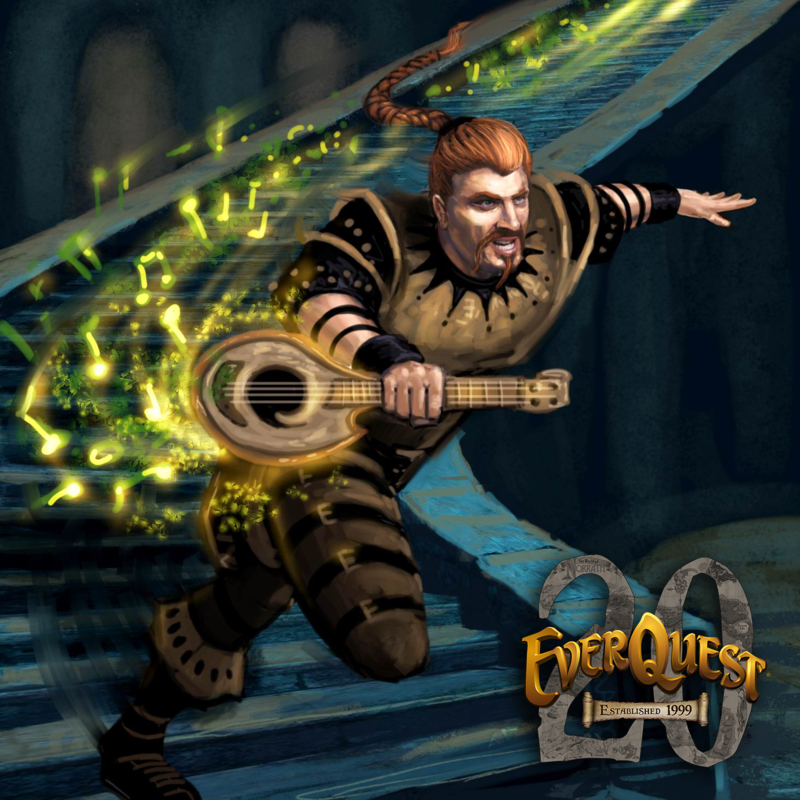 All EverQuest Live Servers will be brought offline on Wednesday, February 20th, 2019 at 4:30AM Pacific (12:30 PM UTC) for maintenance. Servers are scheduled to be unavailable for approximately 5 hours. Just a very small update - there's still a lot of feedback coming in, and we're doing our best to filter and assess it. With that in mind, we won't have any major updates to share before the weekend, though we encourage everyone to continue their discussions here on the forums. There has been a lot of feedback coming in today, and the team is aware and reviewing it. Write-up your best or most memorable EverQuest story and send it to [EMAIL]winkluke@gmail.com for an opportunity for your experiences to be shared in PCGamer! Please be sure to submit by Monday, February 11. *a panicked gnome scrambles up to the message board, crayon clutched tightly in one hand* Announcement says vault is open! Announcement says cuddlesome critters nin vault! Vault is not open. Who is gonna feeds the critters an' gives 'em pets an' treats? PEASE SEND HELP!!!!!!!!!!!!! (Translation: none of the items mentioned in the Frostfell post are actually available in the DB store.)" They should have gone live at noon, but I'll check - if the devs have gone home for the evening it may have to wait until the morning, unfortunately. Servers are now back up! Enjoy your time in Norrath. Today's downtime is running longer than expected due to some hardware issues. There is currently no ETA for when things will be back up and running, but we will provide updates as they become available. This was hotfixed to Test within the past hour. If the zone hadn't repopped before you tried again it would have failed in the same way. Please try again later tonight. - Fixed a problem that caused progressive spell scrolls to fail to scribe their first ranks. If your new Dissident ability is failing to cast when you activate it, go to Stratos and ask Virtuous Dusk for a reminder. *** Hotfix *** - Fixed a problem that caused progressive spell scrolls to fail to scribe their first ranks. If your new Dissident ability is failing to cast when you activate it, go to Stratos and ask Virtuous Dusk for a reminder. Please post about any new bugs found in the update. This thread is not for discussions about anything other than bugs and how we can reproduce (and therefore fix) them. Please be sure that you have re-run the patcher before reporting bugs, as several were addressed while servers were down.